La Dame Blanche has arrived, y’all!!!! Move over, Bruce Banner. 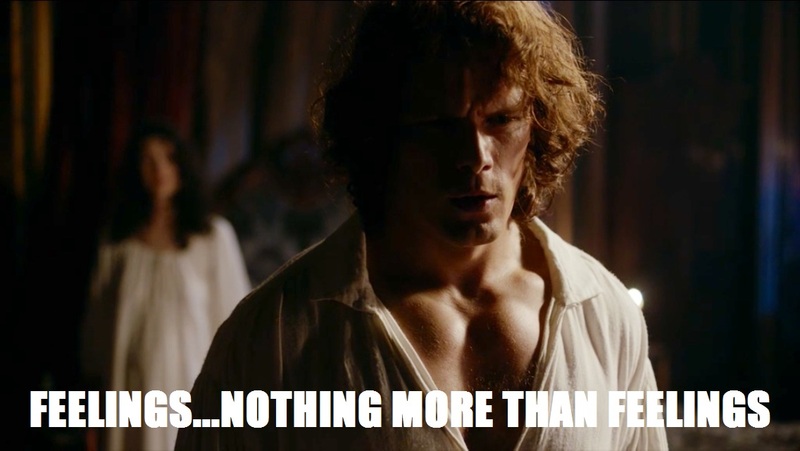 Jamie Fraser is the new Incredible Hulk. Not once but twice in this episode does he swoop in and scoop up a lady in need, carrying her off as if she were as weightless as a kitten. (But we’ll put a pin in the kitten until a later season.) 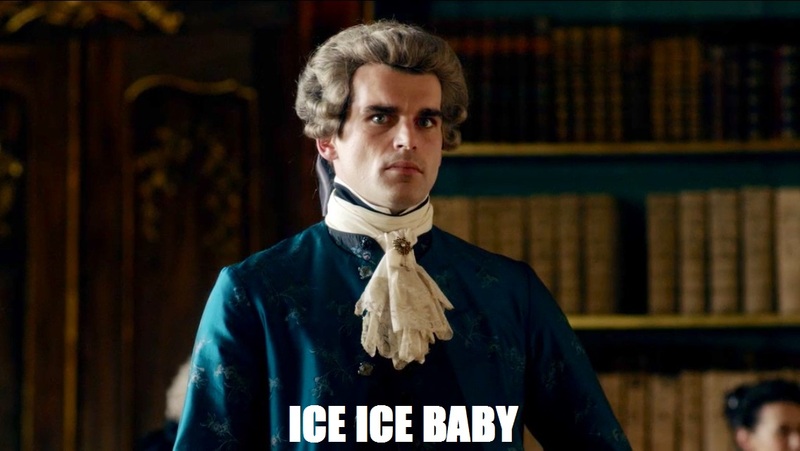 Between Claire with her baby bump and Mary Hawkins with her seventeen layers of dresses, our boy JAMMF definitely got his strength training in this week, pulling it off like this is the sort of thing he does on the regular. Of course, this is JAMMF. This is the sort of thing he does on the regular. 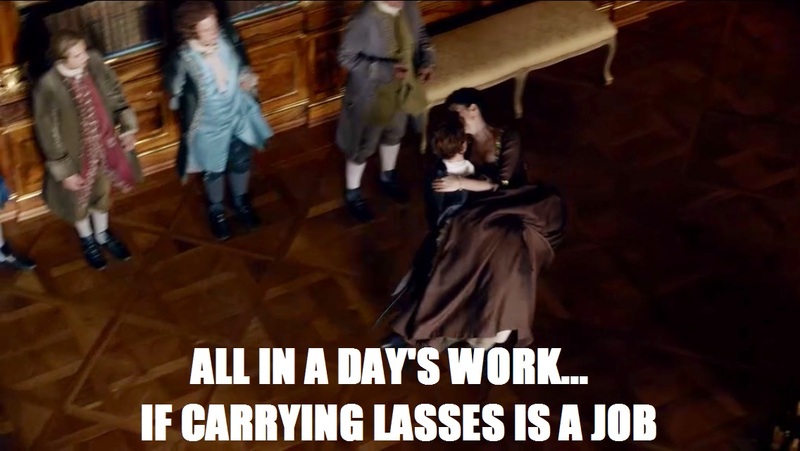 Dannnnnng that man can make a girl quiver in her 18th century boots! I would never want to be on his bad side, for several reasons, and right at the top of that list is his stony stare. Someone call Elsa from Frozen and tell her she’s not the only one who turns everything she looks at to ice. 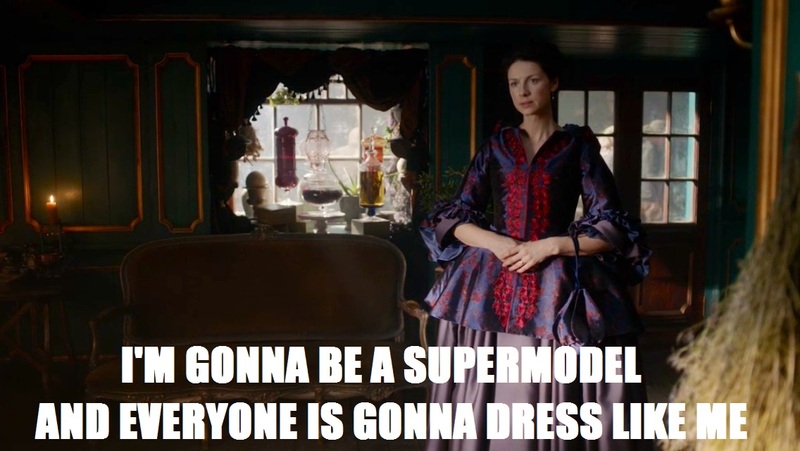 Best of all, we know that Claire feels the same way, because Claire canna keep her emotions concealed. 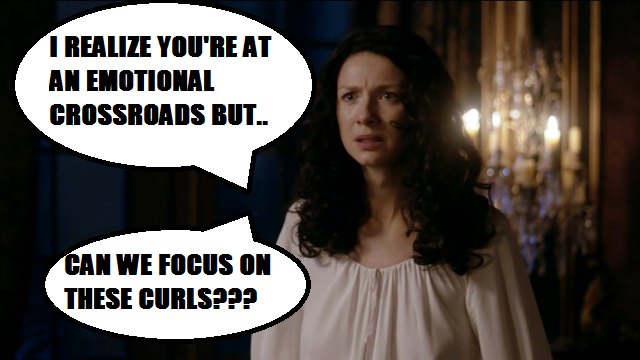 Claire and Jamie must be using the same products, because good lord their hair is looking fierce this season. I know this was a really emotional scene and all but I couldn’t stop thinking about the major #hairgoals. 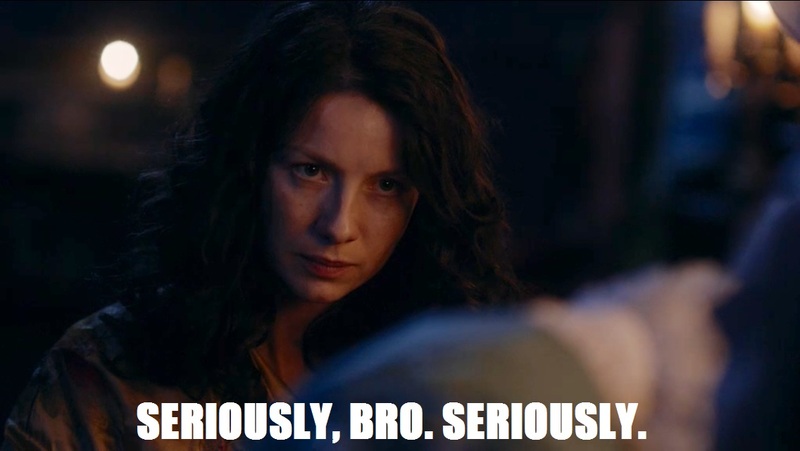 When Jamie said that he felt like he was hiding under a blade of grass and Claire was his lean-to, I lost it. I just lost it. Give Sam Heughan all of the awards ever already. Please and thank you. This. Can we bring this look back? Can I just bust into work decked out in something like this? How can we make this happen? Please advise. Now that the long-running Loveline is off the air, there must be a market for a new talk show focusing on relationship advice. Who better to fill Dr. Drew’s shoes than disgruntled Murtaugh and Wee Fergus? Obviously Fergus would be the expert on women and Murtaugh would be the zany sidekick – the Adam Carolla, if you will. Only Claire could get through a traumatic attack, tend to Mary Hawkins, stow her patient away upstairs and be like, “Time for a dinner party!” But a woman’s got to do what a woman’s got to do if she wants to save Scotland. 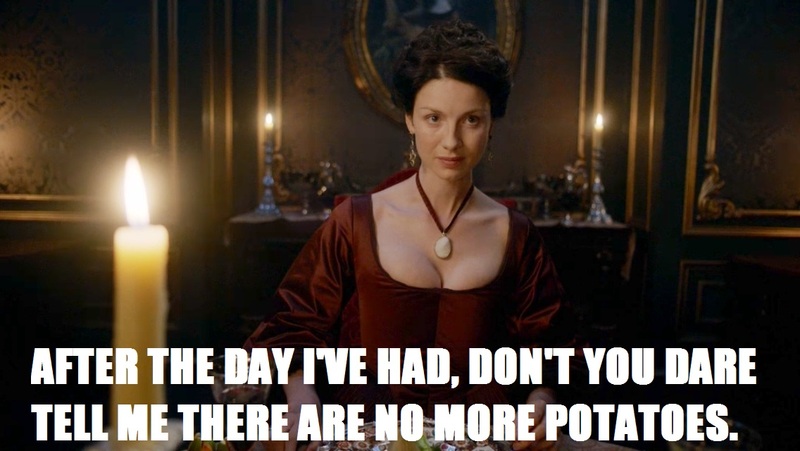 Also, those pregnancy cravings are a killer and there’s no way she’d risk missing those delicious buttery potatoes. 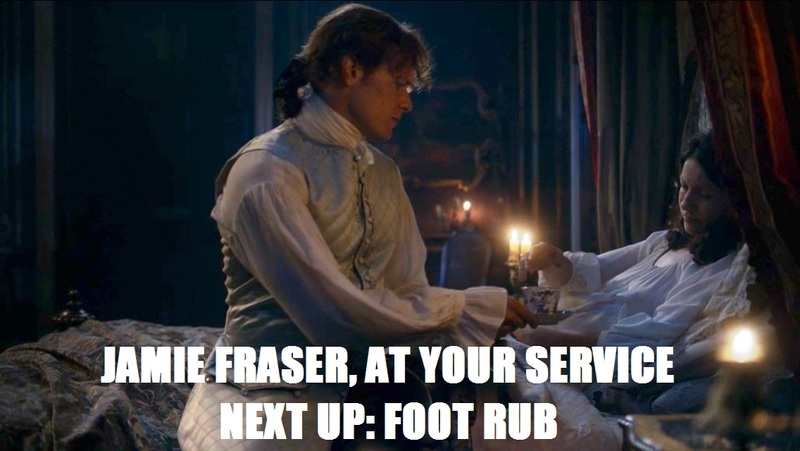 I have this ongoing fantasy of Jamie Fraser serving me tea in bed, listening to me talk and rubbing my belly. And here it is. 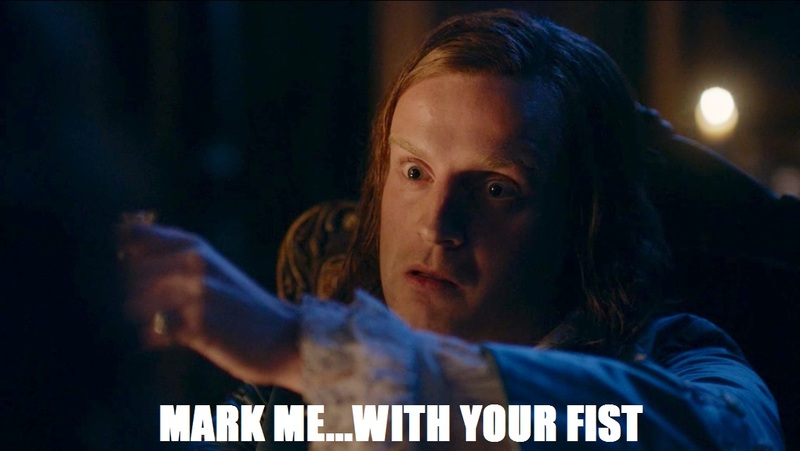 Damn you, Claire! You have all the luck! Aside from that attempted poisoning thing. Can’t win ‘em all, though, right? 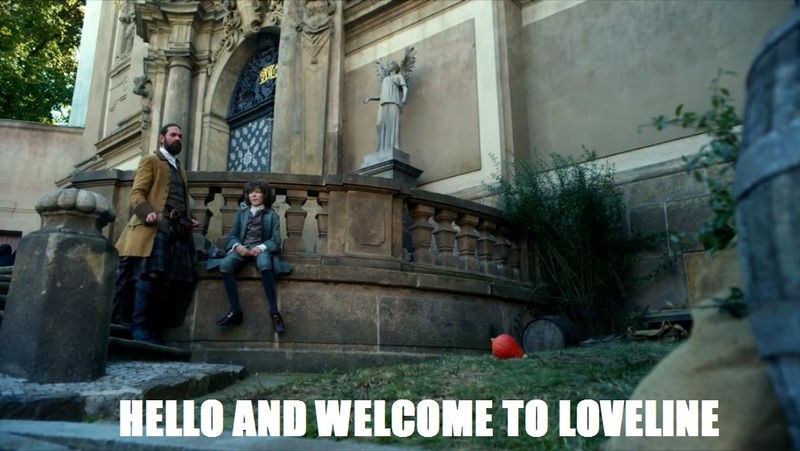 What were the highlights of the episode for you? 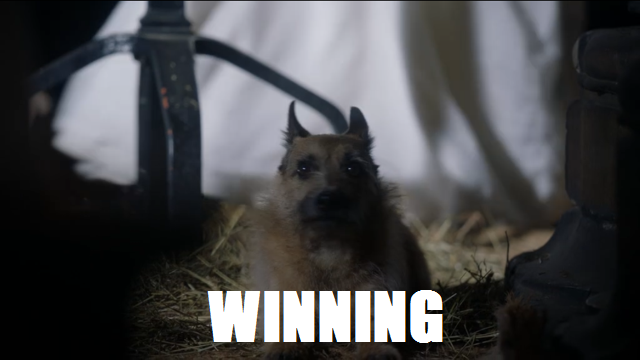 Are you hoping for more Bouton next week? Asking for a friend.